Evan Monroe Harris married Mary Jane Davidson. Mary Jane Davidson married Evan Monroe Harris. [S568] George Davidson, "Mary Pearl Bottger email 01," e-mail message from George Davidson to David G. Ball, 21 July 2008. Melvin Edward Davidson was born on 7 December 1915 at Peak, Benton Co., OR. He was the son of George Henry Davidson and Anna Victoria Isabelle Hastie. Melvin Edward Davidson married Mary Pearl Bottger, daughter of Frank Albin Bottger and Lola Pearl Ball, on 24 August 1946 at Philomath, Benton Co., OR.1 Melvin Edward Davidson died on 3 March 1982 at Corvallis, Benton Co., OR, at age 66. He was buried at Oak Lawn Memorial Park & Mausoleum, Corvallis, Benton Co., OR. George Henry Davidson married Anna Victoria Isabelle Hastie. Anna Victoria Isabelle Hastie married George Henry Davidson. Arthur Imanual Anderson married Bessie Clark. Bessie Clark married Arthur Imanual Anderson. 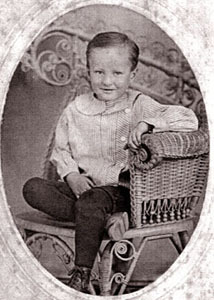 Calvin Leonard Hammar was born on 16 January 1924 at Belmont, Dawes Co., NE. He was the son of Martin Orley Hammar and Ivy Ruth Stetson. Calvin Leonard Hammar married Mary Pearl Bottger, daughter of Frank Albin Bottger and Lola Pearl Ball, on 3 September 1965 at Philomath, Benton Co., OR.1 Calvin Leonard Hammar died on 19 June 1985 at Bend, Deschutes Co., OR, at age 61. He was buried on 22 June 1985 at Oak Lawn Memorial Park & Mausoleum, Corvallis, Benton Co., OR. Martin Orley Hammar married Ivy Ruth Stetson. Ivy Ruth Stetson married Martin Orley Hammar. Harry Leon Davidson is the son of Melvin Edward Davidson and Mary Pearl Bottger. Vicki Marie Davidson is the daughter of Melvin Edward Davidson and Mary Pearl Bottger. Patricia Ann Davidson is the daughter of Melvin Edward Davidson and Mary Pearl Bottger. George Ivan Davidson is the son of Melvin Edward Davidson and Mary Pearl Bottger. Frances Louise Bottger was born on 30 April 1930 at Summit, Benton Co., OR. She was the daughter of Frank Albin Bottger and Lola Pearl Ball. Frances Louise Bottger married Royal Gregg. Frances Louise Bottger died on 12 August 2001 at Timberview Care Center, Albany, Linn Co., OR, at age 71. She was buried at Oak Lawn Memorial Park & Mausoleum, Corvallis, Benton Co., OR. Royal Gregg married Frances Louise Bottger, daughter of Frank Albin Bottger and Lola Pearl Ball. Royal Gregg died at Corvallis, Benton Co., OR. Ann Corinne Bottger was born on 14 August 1939 at Corvallis, Benton Co., OR. She was the daughter of Frank Albin Bottger and Lola Pearl Ball. Ann Corinne Bottger died on 17 January 1943 at Portland, OR, at age 3. Guy Verl Ball was born on 1 August 1909 at Black Rock, Polk Co., OR. He was the son of Lester Pearl Ball and Cora Elizabeth Miller. Guy Verl Ball married Aloha Boyd, daughter of Hulda (???? ), on 20 May 1936 at Benton Co., OR. Guy Verl Ball died on 28 January 1995 at age 85. Photo courtesy of George Davidson of Peoria AZ. Aloha Boyd was born on 17 January 1915 at OR. She was the daughter of Hulda (????) Aloha Boyd married Guy Verl Ball, son of Lester Pearl Ball and Cora Elizabeth Miller, on 20 May 1936 at Benton Co., OR. Aloha Boyd died on 17 October 1978 at age 63. Lester Pearl Ball is the son of Guy Verl Ball and Aloha Boyd. John Ralston was born on 23 April 1807 at Brady, Butler Co., PA. He married Nancy Agnes McLane. John Ralston died on 27 January 1873 at Canton, Jackson Co., IA, at age 65.